In hadith this month of Ramadan has been called as "Month of Allah". Just like Shaabnaul-muazam is called as the "Month of Prophet Muhammad(s.a.w)". Ramadan is also known as the month of Quran because Allah's last message (Quran) to mankind was started revealing on the 27th of Ramadan when Jibrail-Ameen (Gabriel) brought 5 Quran verses in the form of revelation to Gare-Hira (Cave Hira). This blessed month is a special gift from Allah for all the muslims because it prepare them every year for hard work in practicle life for the rest of 11 months. Every muslim, who is fortunate enough to enter the month of Ramadan, should gladly welcom it and should be thankful to Allah that He has given them this chance again. Read all article about "Welcome Ramadan"
1. "O you who believe! Fasting is prescribed for you as it was prescribed for those before You, so that you may guard (against evil); ...... and those who find it hard to do so may effect a redemption by feeding a poor man" (2:183, 184). 2. "The month of Ramadzān is that in which the Qur'ān was revealed; ...... Therefore, whoever of you witnesses the month, he shall fast during it, and whoever is sick or on a journey (he shall fast) a (like) number of other days" (2:185). by Maulana Muhammad Ali, M.A., LL.B. TheOnlyQuran.com, is non-profitable donation based organization. Our mission is to deliver the Holy Quran and Hadith to every single person on this earth, regardless if (s)he is Muslim or Non-Muslim. Currently we are working on Al-Quran, a software which which will recite Quran along with Urdu translation. 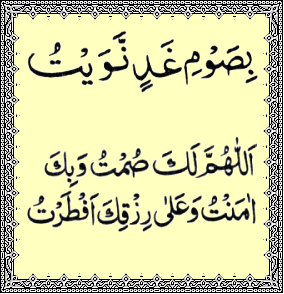 Quran in arabic language, with translation in English by Mohammed Marmaduke Pickthall (1875-1936) , which is a modern and sympathetic English rendering. The Explanation(Tafseer) is written by translated by E.H. Palmer . Hadiths taken from Sahih Bukhari's Hadiths Collection written by Imam Bukhari. We have 9 volumes of the book, and total of 93 chapters. The chapter index is provided on left hand side of hadith's page. Beside our software we are also working on Hadith, to collect and publish all collection of Hadith from different sources and deliver it to every Muslim door. We are also making a forum in which people can ask different question related to Islamic topics and Islamic way of life. On this site you will also find some great Islamic books and CDs. We will do our best to deliver it free of cost, but those who can and will pay for it will be greatly appreciated. The fund will be accepted as a donation not as price, because the words of Allah and Muhammad (P.B.U.H) are priceless. Yes! that's rite you can also find some great wallpapers decorated with the names of Allah and Muhammad (P.B.U.H). Click Here to view all 99 names of Allah. Click Here to view beautifull islamic wallpapers. Click Here to watch more islamic videos. www.TheOnlyQuran.com is wishing you a Great and Happy Eid to you and your family.